Why it is good to choose ExpressVPN? 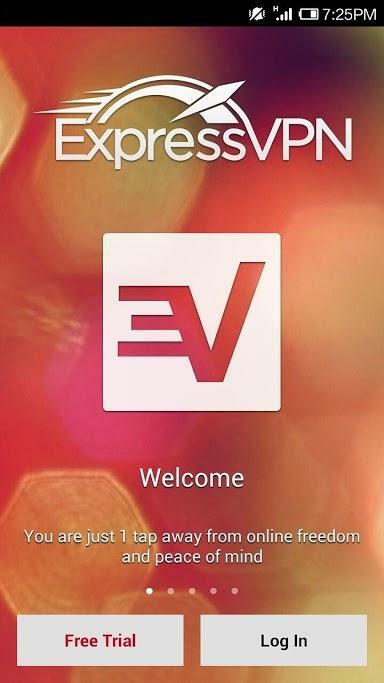 If you choose the expressVPN services you will benefit of high quality services and products, software for your devices, internet speeds for everything you need and great support from their team. At this moment, the company is among the first VPN companies across the globe. ExpressVPN offers their services to people in over 30 countries, offering them support 24 hours a day, 7 days a week, if needed. 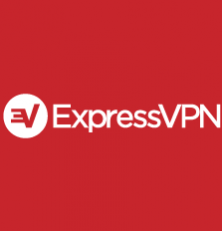 Continue reading the entire ExpressVPN review in order to clear out some of your questions. 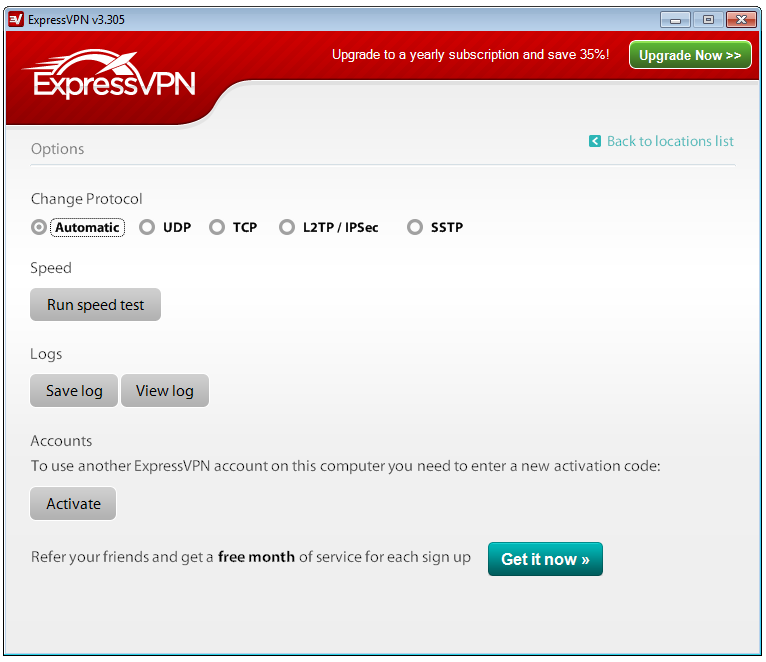 ExpressVPN is not very different from another VPN services. Of course, in every month you will have to pay a certain amount, but it is very low. Also if you decide to use ExpressVPN for 6 months or 12 months they will offer you a discount. A small downside is that they don’t give a free trial; but in case that you are not fully satisfied with the services, you can ask your money back within 30 days. To sum up I can say that there are some decent pricing plans. The accounts use OpenVPN. This is a standard protocol for all the accounts. If you have a smartphone or another device and OpenVPN it is not good for you, there is PPTP and L2TP with IPSec. Also if you use Windows, OSX, iOS or Android, they have dedicated clients for these operating systems. If you don’t know how to connect via OpenVPN/P2TP in Linux or P2TP in Ubuntu you can use the guides which they provide. You can choose from 50 available locations. These locations are in 33 countries and you can set how many devices you want on the same account because you are not limited. However, remember that only one device can be used at a certain time. According to what type of protocol you use, ExpressVPN offers you 2 types of security: 256bit security or 128bit security. The best one is of course the 256bit one, but don’t imagine that the 128bit one can be easily hacked. If you check the guide you will see that the 128bit encryption is literally unbreakable. Personally I recommend you to go for the 256bit one only if you have very important information going through the network. 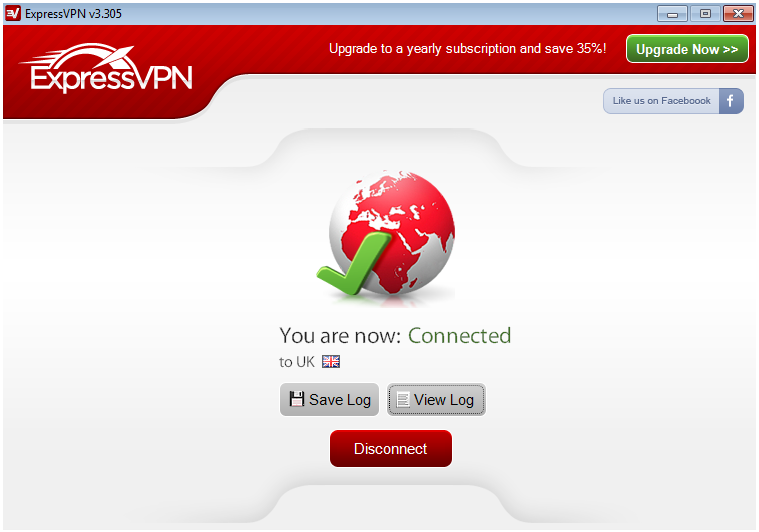 Another thing that it is good to know about ExpressVPN is that the type of virtual private network keeps a history with all the log information like IP address from the computer that you use to login or information about your bandwidth. 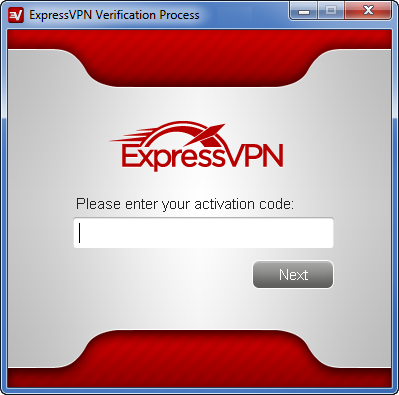 ExpressVPN doesn’t keep a history with the websites what you visited, conversations, VoIP calls or with your emails. In other words, ExpressVPN doesn’t keep what you do on the VPN. They are interested just in the access times when you perform actions. The ExpressVPN has a website very easy to use with all the information around so you can have an easy time surfing. Everyone can follow the steps which are presented in the setup guides because they are explained very clearly and they also include pictures to make your life easier. The style of website is attractive, fresh and clean. You, the reader of this ExpressVPN review may also enjoy the provider’s regularly updated blog. To signing up process goes smooth. You don’t have to do a lot of things; just type in your e-mail address and choose the preferred way to pay. 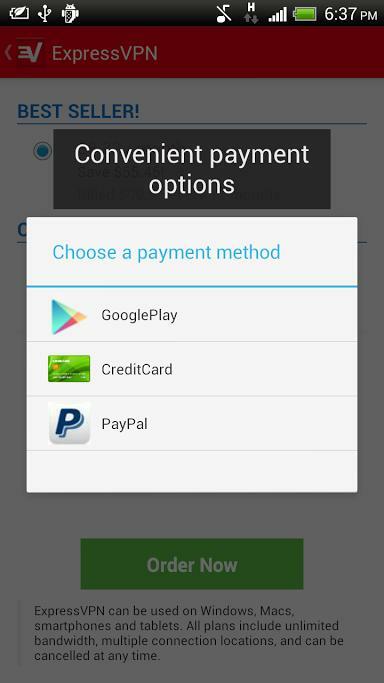 You can pay on PayPal or choose from major credit/debit cards providers. After they got the payment confirmation you will be redirected to a page from where you need to download the Windows VPN client. After you download the client, the installation comes easy. At a certain point you’ll have to type in the activation code. And that it’s pretty much it. The next step consists of selecting what server you want to use. You will have a list and you need just to click on the desired one. As you can see, the application will perform some tests by itself, so you don’t need to do anything at this point. Next, you have a page with options. On this page you can change protocols and run speed tests. Also this page can block the protocols for some country. And this is all. You are connected. Simple, right? 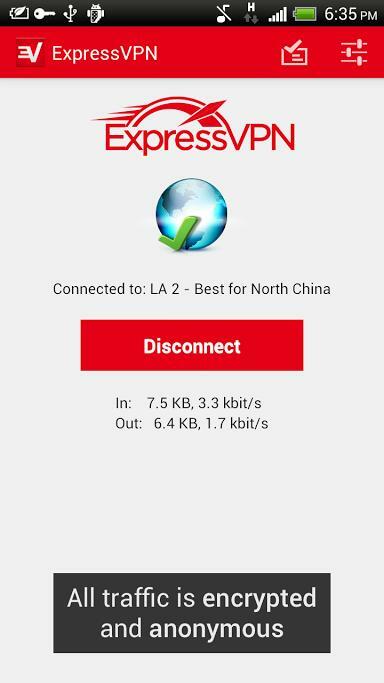 ExpressVPN it is good because has a fast speed of connection. According to some tests performed on speedtest.net, the company scored pretty high. These were made using a 10MB bandwidth connection and the closest speedtest server. As you can see, the results are great. These were actually good and we’ve tested some more even outside of this ExpressVPN review. ExpressVPN offers you support for different types system like OSX, iOS, devices on Android and Linux. 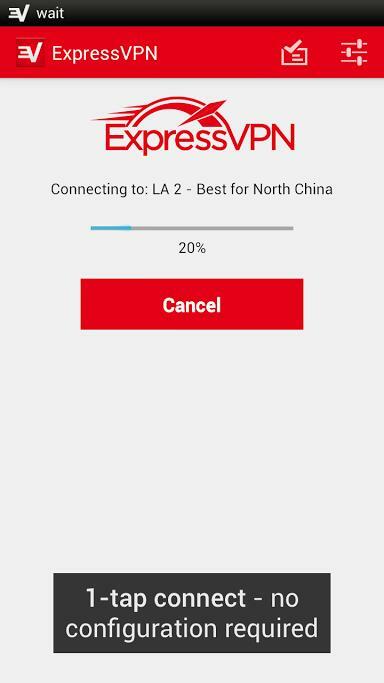 We decided to see how the android application would work on a Samsung Galaxy S3, especially because ExpressVPN doesn’t require a rooting process, unlike many other VPN applications for Android found on the market. If you are member on the ExpressVPN website you can read all the instruction and you will know how download the configuration files. You need to copy the files on your pc and then to transfer in your phone. Then, what you have to do is very easy. You need to find in Play Store the OpenVPN application and download it on your phone. It has been always a tricky process to install an application which requires external files, but this one went well. We had everything working in minutes. Once installed, the application can be easily accessed from the menu. We even had some statistics in the drop-down menu. This confirmed us that everything was going well. We have to admit that we were pleasantly surprised by all this ‘documentation’ thing. Because the application worked brilliantly from the first try got us impressed. It was time for a bit of testing, so we decided to use our H+ mobile connection in order to perform the tests. The results show quite clear that by using the ExpressVPN services we managed to improve our speed. They do keep some logs – read the full terms of service. 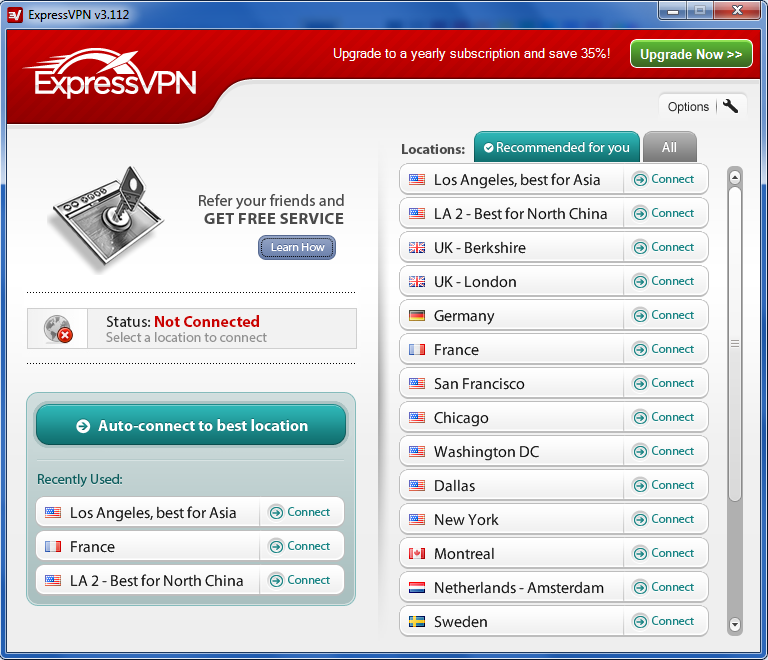 All tests for this ExpressVPN review were performed using the OpenVPN (UDP) protocol. Some of you might consider the price a bit spicy, but it’s definitely worth every cent. The quality of services you benefit from is indubitable. It’s secure, it’s fast, so I don’t see a good reason why you wouldn’t try it.